Looking for an unusual way to spend these beautiful fall days we’re getting? 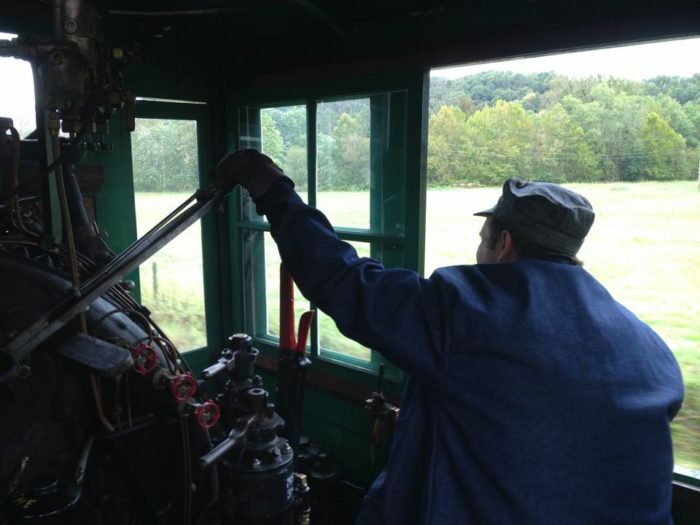 Then climb aboard a train on the Hocking Valley Scenic Railway and experience fall as you choo-choo through the scenic valley! The railway offers extra rides during the fall to accommodate all of the eager travels looking for beautiful fall colors. 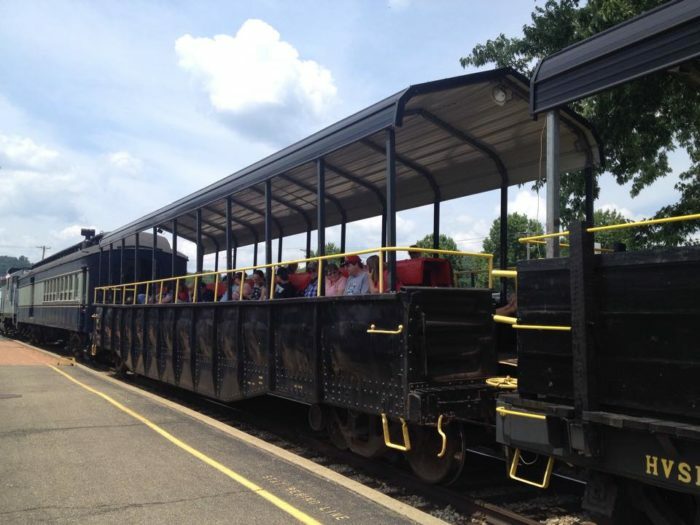 The Hocking Valley Scenic Railway operates several trains, all which depart from Nelsonville. 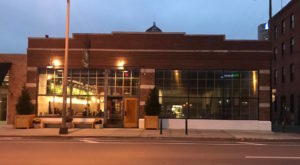 You will enjoy the historic look of the station. The rides and stations are entirely volunteer maintained and operated, and there are several fun options to choose from! The 12:00 "Noon to Haydenville" ride is the shortest ride, lasting about 1 hour and 30 minutes. 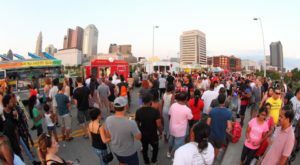 It operates every Saturday and Sunday between Memorial Day weekend and the last full weekend of October. 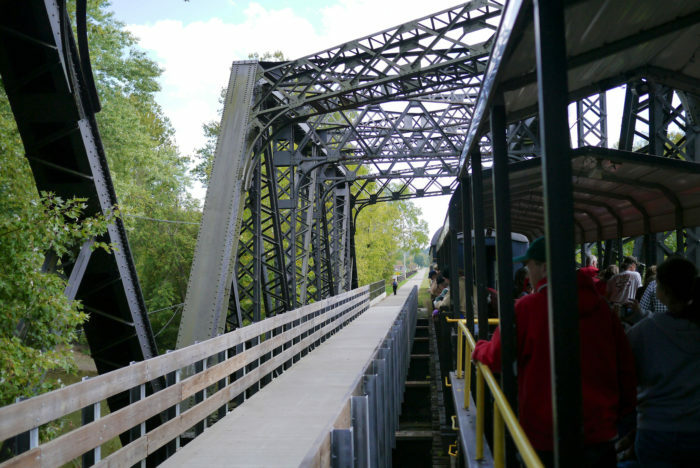 The train will pass beautiful sights including the Hocking River and one of the remaining Hocking Canal locks. Another available train ride is the 2:30 pm "To East Logan" train. 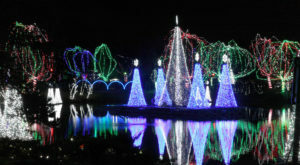 It operates every Saturday and Sunday between Memorial Day and the last full weekend of October. 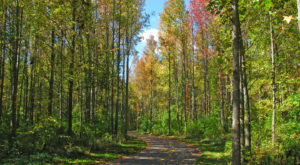 This fun round trip ride will take you past the historic town of Haydenville, the last company town in Ohio. 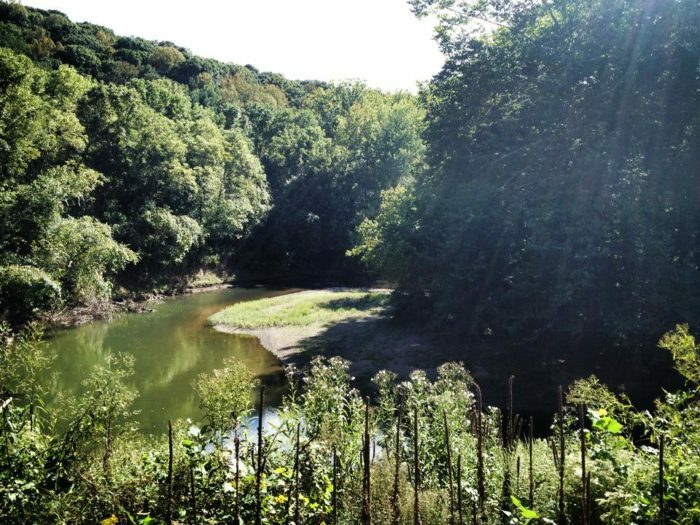 Riders will also see the Hocking River and plenty of pretty hills. 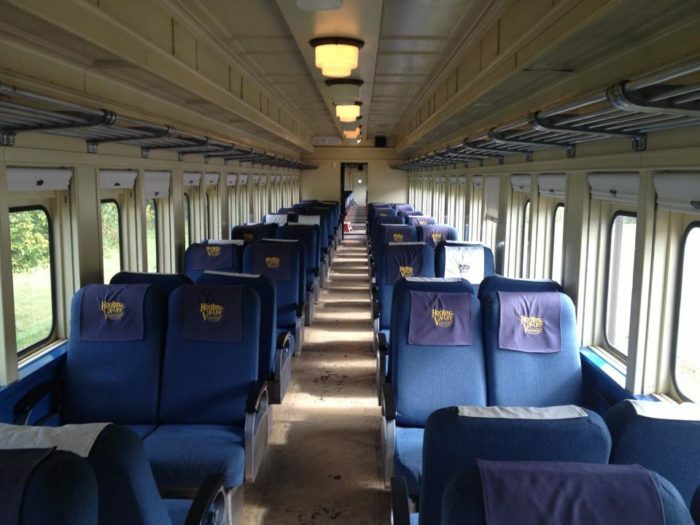 Once you board the train, you will be met with a well-maintained historic coach. Riders can choose to use the enclosed coaches or the open car. If you're looking for the perfect climate controlled temperature, you can choose to sit inside. For those of you who want to be feel just a little closer to the hills and valleys, you can enjoy your ride in the open air car. Keep in mind that it will be louder outside! 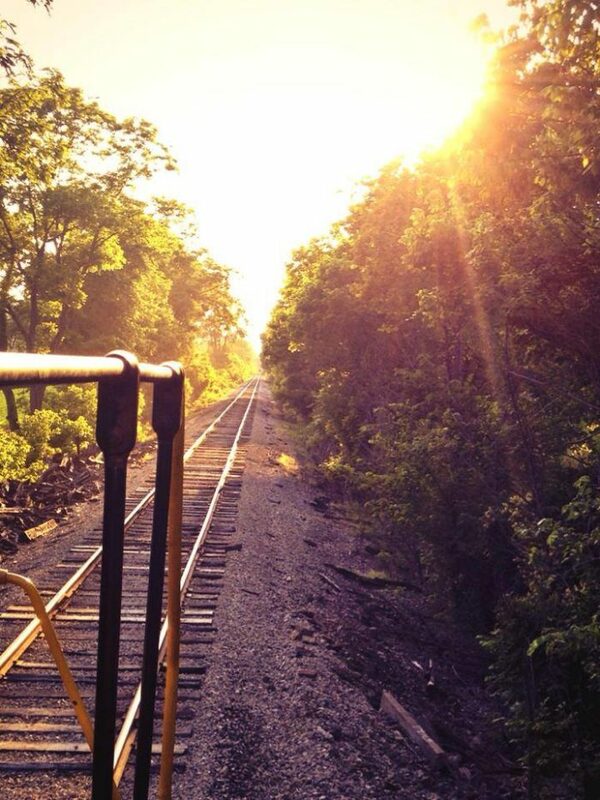 The Hocking Valley Railway was originally constructed to transport coal and salt out of the Hocking Valley area. 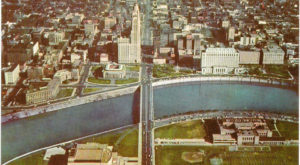 Construction began in 1867. The first freight train that traveled from Nelsonville to Columbus carried a canon aboard that fired as it approached every town to let people know it was coming. 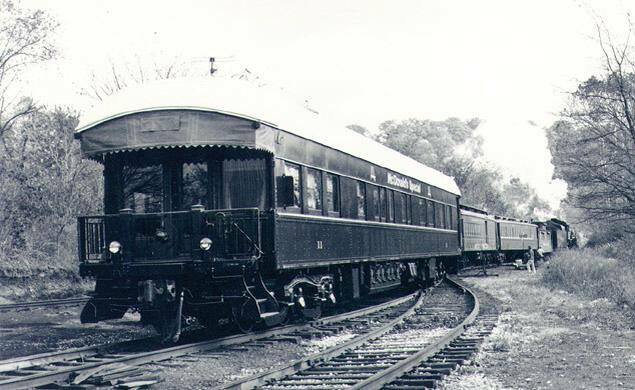 By the beginning of the 20th century the Hocking Valley Railway operated throughout the entire state. You can learn more about the railway's history here. 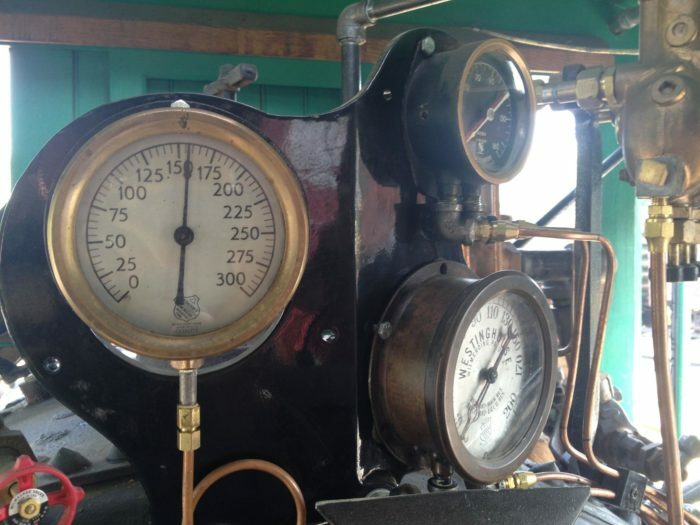 The trains themselves consist of historic equipment that was built between 1917 and 1970. Keep in mind that the trains used do not have restrooms, so do what you gotta do before you depart! 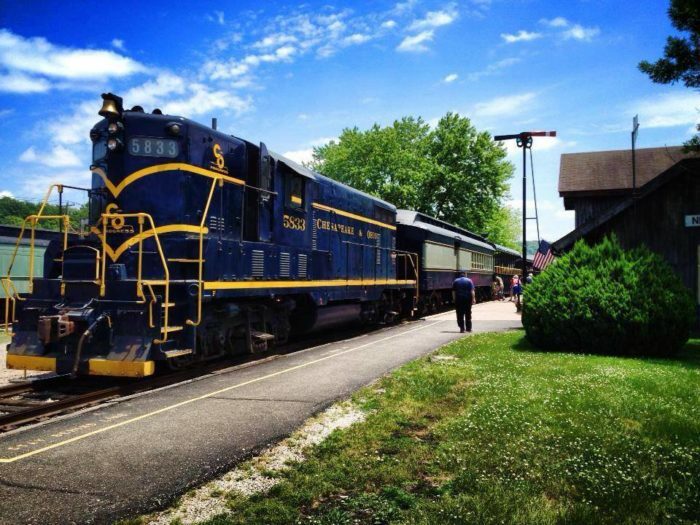 If you're looking for a fun activity to do with the family, the Hocking Valley train rides are a great option. 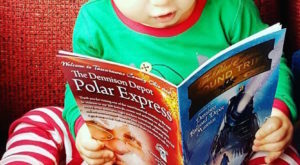 Not only will you get to enjoy a rare train ride and beautiful views with your kids, they will also learn about the history of Ohio's railways and industries. Due to the popularity of their beautiful fall rides, the railway operates extra trains during the month of October. 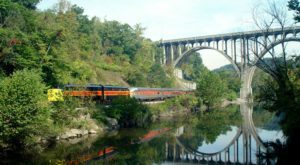 Each Thursday and Friday between October 5th and 27th, one train each day departs Nelsonville at 1:00 pm for a round-trip ride to East Logan. 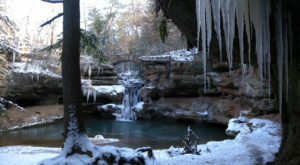 October is the best time to enjoy the fall colors in the incredible Hocking Hills. 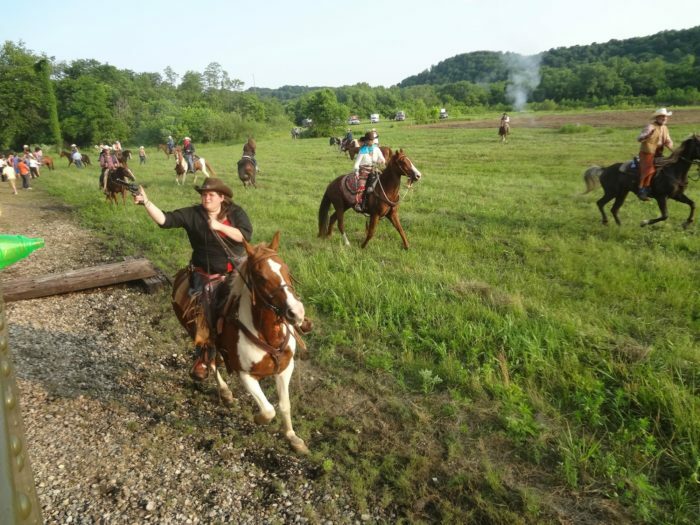 If you're looking for an even bigger adventure, buy a ticket for "Ohio's Friendliest Train Robbery" ride. During your ride "bandits" on horses will attempt to stop the train and take fake money that is distributed to riders ahead of time. The "bandits" are all very nice, and they will happily chat with riders after the event. 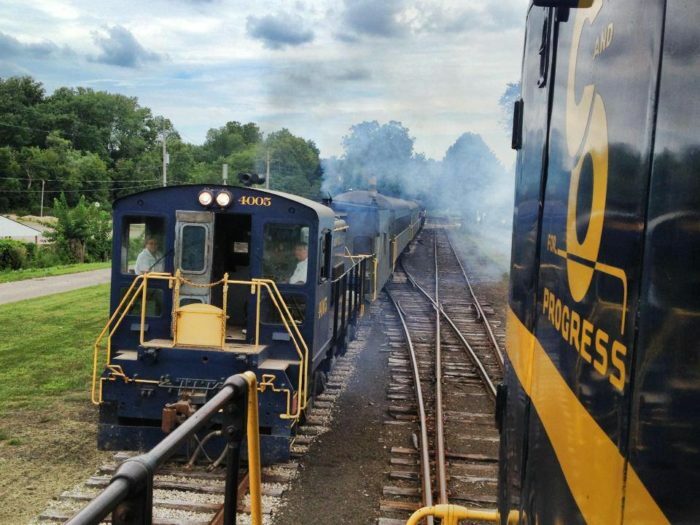 If you'd like to get involved and to help preserve this historic train ride, the Hocking Valley Scenic Railway is always looking for volunteers for a variety of fun opportunities. All aboard? 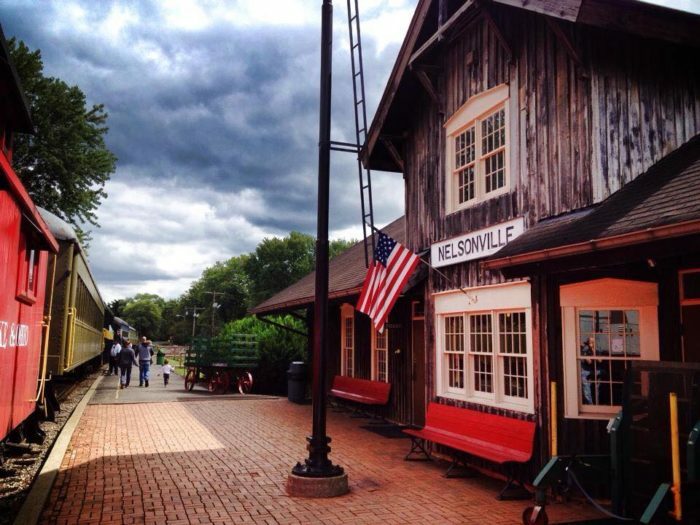 All rides depart from the Nelsonville Depot, located at 33 W. Canal St., Nelsonville, OH 45764. Let us know how your ride was and share your beautiful pictures with us!